Rijswijk/ Biarritz, 18 juni 2015 – Harley-Davidson heeft het voorbije weekend tijdens het ultieme custom festival Wheels & Waves in Biarritz (Frankrijk) de winnaar bekendgemaakt van de ‘Battle of the Kings’-competitie. Vijf Europese finalisten streden om de eer, maar het was het team van de officiële Harley-Davidson-dealer in Praag (Tsjechië), die er met de hoofdprijs vandoor ging. De winnende ‘SHDB 04’ heeft als basis de Street 750 en is geïnspireerd op de Lotus C01 en op het chroom van de Bell & Ross Softail. De motor werd volledig opnieuw opgebouwd en onder andere voorzien van een aangepast metaalwerk, een touchscreen, een fuelpack 3, nieuwe handvatten, spiegels, ledverlichting, remlichten, voetsteunen en remhendels. Het team bracht ook een custom tank aan, een ander voorspatbord en nieuwe standaard. En het verkortte het achterframe en verving zelfs de snelheidsmeter door een… telefoon. dat werd ook dit jaar tijdens Wheels & Waves weer duidelijk. Biarritz, France – This week, motorcycle enthusiasts from around Europe descended on the French seaside town of Biarritz for the annual Wheels & Waves festival. The event saw Harley-Davidson® exhibit its Dark Custom model range along with customized and historic motorcycles and the announcement of the ‘Custom King’ winner of the prestigious Battle of the Kings competition. The Harley-Davidson Dark Custom lineup represents more than a just a range of motorcycles; it expresses an attitude towards life that springs from the rebel roots of the brand, combining vintage and modern styling cues into a contemporary interpretation. Designed to inspire creative self-expression through easy customization, the range offers an urban, edgy take on traditional custom style with models like the Harley-Davidson® Forty-Eight®, Iron 883™ and Harley-Davidson Street® 750 that are accessibly priced for new entrants into the market. Custom motorcycle fanatics at the Harley-Davidson stand were able to engage with the five Battle of The Kings custom finalist bikes, a selection of heavily customized models from Shaws Harley-Davidson and a Jumpstart™ riding experience. 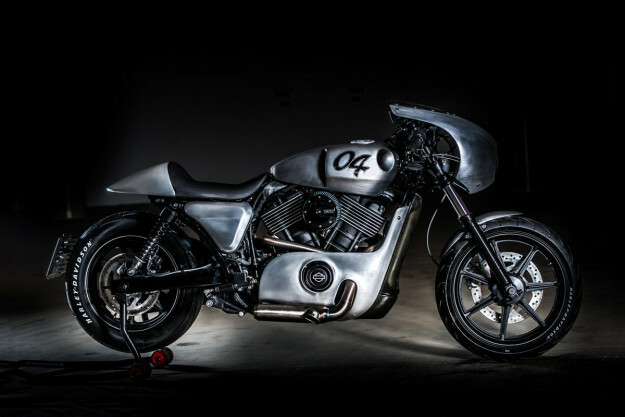 Wheels & Waves saw Harley-Davidson crown the winner of its Battle of the Kings competition. The fiercely contested competition invited custom experts from authorised Harley-Davidson dealerships from across Europe to demonstrate their originality and imagination in applying their customization skills to the blank canvas of the Harley-Davidson Street® 750 motorcycle. The five finalists from Czech Republic, France Germany, Norway and Cyprus, who were selected by the public earlier in the year, battled it out for one last time in front of a jury of experts to show off their customization credentials. 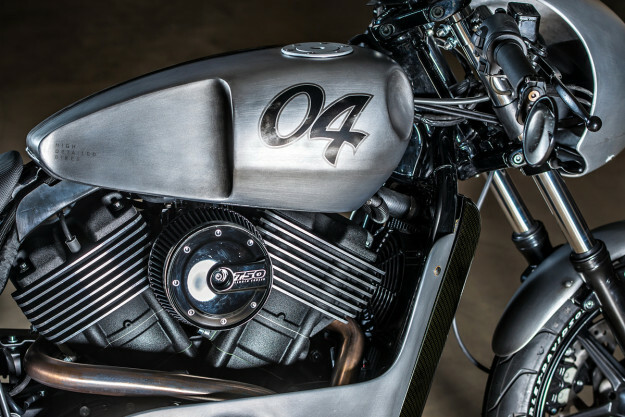 The Harley-Davidson Prague dealership in Czech Republic was crowned ‘European Custom King’ with their SHDB 04 winning design. The Street 750 was rebuilt from the ground up by Ondrej Odehnal (mechanic), Bohous Menzl (production), Wojta Vavrina (project management), Jarda Vavrina (concept and design) and Olaf Pugner (paint). ‘We were inspired by the Lotus C01 and the chrome lines of the Bell and Ross Softail, both awesome builds’, said Ondrej. The customization of the bike ride saw massive changes, including all handcrafted metal work, a touch screen, fuelpack 3, handlebars, mirrors, LED light, brake lines, pegs and levers. The team also customized the tank, front fender and the stand. They shortened the rear frame and even replaced the speedometer with, of all things, a telephone. ‘We were thrilled to be in Biarritz for the iconic Wheels & Waves 2015 festival. Harley-Davidson has been the leader in customization and self-expression for 113 years and the event provided us with the perfect opportunity to showcase both our custom heritage and our relevance to new wave custom culture, said Harley-Davidson EMEA Marketing Director Michael Johnstone.